These aren’t your usual kebabs! 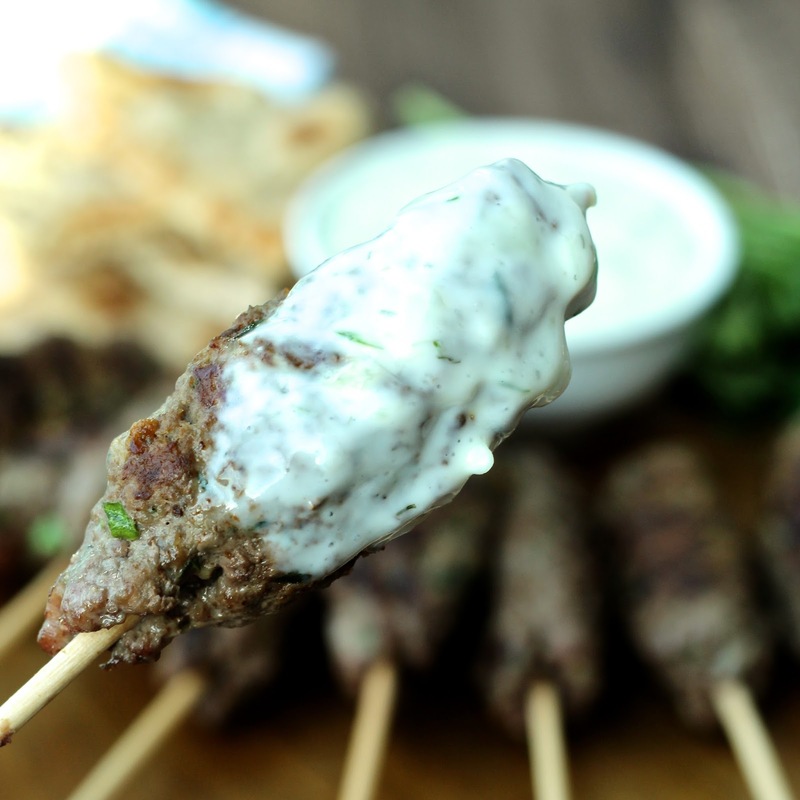 My Beef Kofta Kebabs with Tzatziki Sauce are bursting with flavor and protein. By posting this recipe I am entering a recipe contest sponsored by The Beef Checkoff and am eligible to win prizes associated with the contest. I was not compensated for my time.This is a dish that the whole family will love! 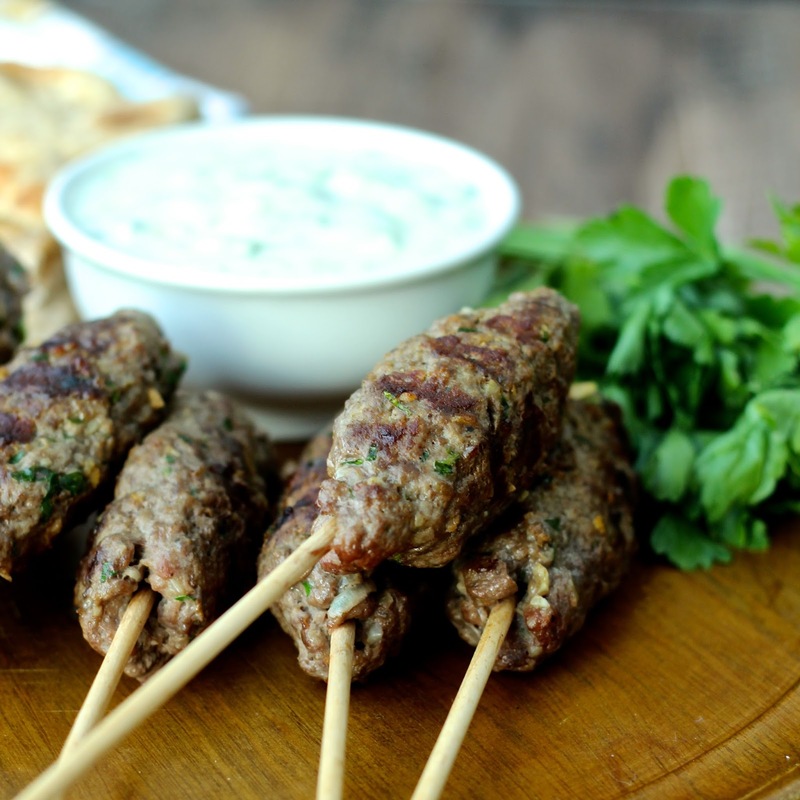 Kofta kebabs are common in many parts of the Mediterranean, Middle East and Persia. They’re made with ground meat instead of cubed meat and are packed with flavor. Think ground beef mixed with fresh parsley, garlic and warm spices like coriander and cumin. Yum! Serve them with my creamy tzatziki sauce and some flat bread and you’ve got a delicious and easy meal that’s perfect for casual summer dining. lean muscle mass and reduce body fat. Although there are many food sources of protein, not all proteins are equal. Complete proteins contain all of the essential amino acids that are needed by our bodies. They are found mostly in animal sources of protein like beef, poultry, fish, eggs and dairy products. Plant based protein sources like beans, seeds, vegetables, grains and nuts are usually incomplete proteins, which means that they lack one or more of the amino acids that your body can’t produce. There are a few vegetarian foods like soy, quinoa and chia seeds that are complete proteins.There are many cuts of beef that are considered lean, which means that they have less than 10 grams of total fat, 4.5 grams or less of saturated fat and less than 95 milligrams of cholesterol per 3 ounce serving. To learn more about the lean cuts of beef, check out the Beef Checkoff website. Mix the beef, onion, garlic, parsley, coriander, cumin, salt and pepper together in a large bowl. Divide the mixture into 12 roughly even balls. Mold each ball around the pointed end of a skewer, making an oval kebab that comes to a point just covering the tip of the skewer. If using wooden skewers, soak them in water for 15 minutes before threading them. Heat a grill pan over medium high heat or prepare a grill. Brush the pan lightly with olive oil. Grill the kebabs, turning occasionally, until brown all over and cooked through, about 10 minutes. Transfer to a serving platter and serve with tzatziki sauce and flat bread. To make the tzatziki sauce, mix all of ingredients together in a bowl. Refrigerate until ready to serve. Check out below to see the other great beef recipes from my fellow Reduxers! I love kofta, Sonali! 🙂 Such a great recipe! I can't wait to try this with all of those delicious spices! Thanks, Farrah! They're actually really easy to make! These look awesome. Thanks for the recipe! Now, I am not a big beef eater – but your beef flavored with all these spices and dunked in that Tzatziki has me salivating, Sonali! Good Luck in the contest – fingers crossed! I have never made Kofta, but this sounds and looks delicious. I know my husband and I will both enjoying trying this, so putting it on our menu soon! They're delicious and really easy to make. I hope you like them! I've always wanted to make kafta kebobs! They are SO good at Mediterranean restaurants but I have never had the chance to try them myself. 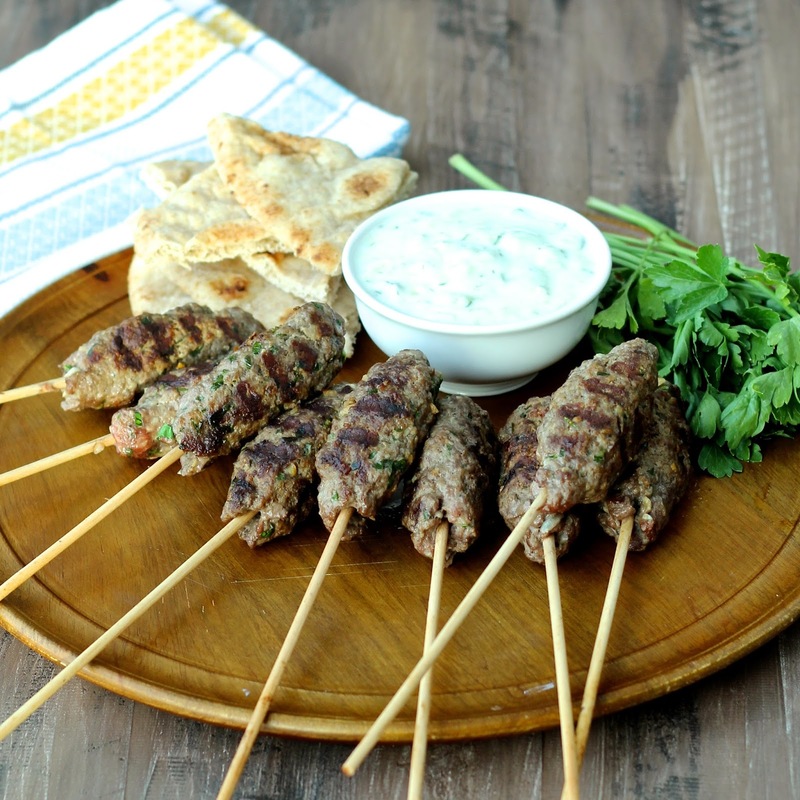 Plus tzatsiki is life…these would be great for an early summer Saturday dinner 🙂 Pinning! Sonali, these beef kebabs are making my mouth water, and it's only 8:30am here. Love that you used lean beef here! Haha! Thanks for stopping by, Lisa! I love kebabs! These look awesome 🙂 Totally pinning! These look absolutely fantastic, Sonali! I imagine these would be wonderful with lamb too. And can't wait to try your tzatziki recipe too! Thanks, Marissa! You can make them with lamb or a combination of lamb and beef. Hope you enjoy it!